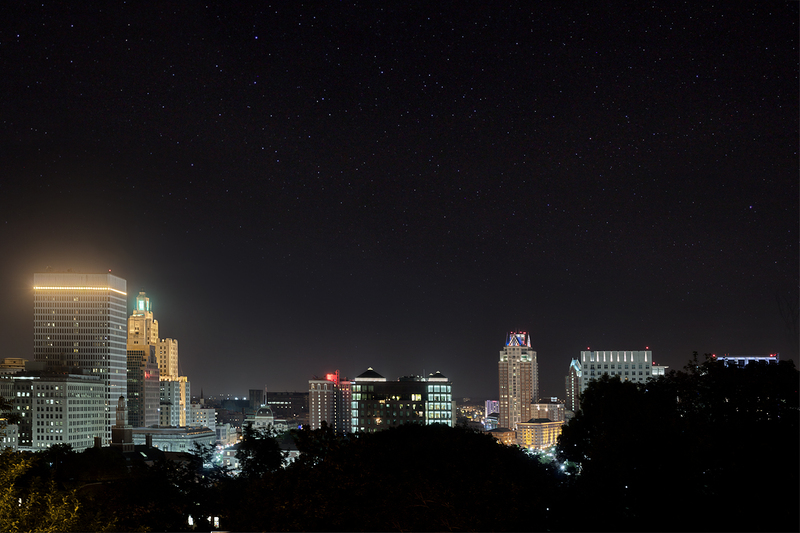 This is one image of the Providence, RI skyline is made up from 51 separate images. 50 where used for the skyline, one was used for the stars. This image is actually HUGE, I could probably have this printed large enough to cover a whole wall.